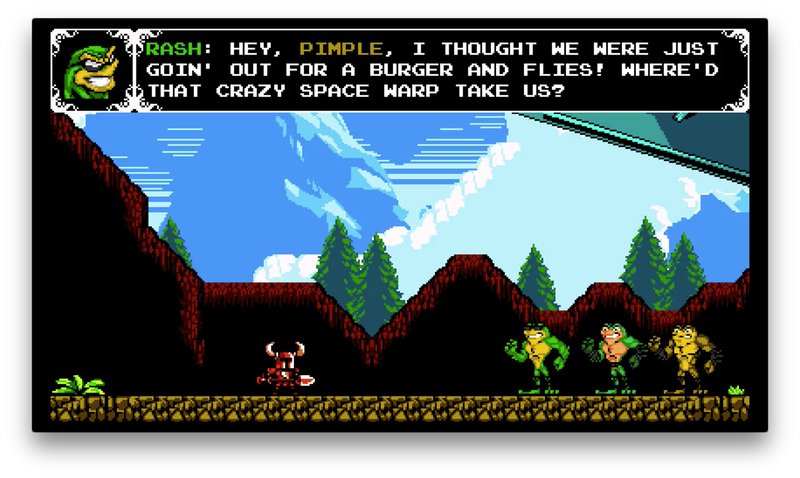 Shovel Knight has finally hit Xbox One, PS4, PS3 and Vita. If you don’t have a Wii U, 3DS or PC, you can finally play one of the best indie games of 2014. However, Xbox and PlayStation owners didn’t wait for nothing—the new versions have a unique, platform-specific boss fight. Here’s how to unlock it. For those of you unaware, PlayStation owners will get to battle God of War’s Kratos, and Xbox owners will get to square of against none other than Rash, Zitz and Pimple of Battletoads fame. Sorry, PlayStation owners, but Microsoft got you good this time. Whether you’re looking for Kratos or some seriously edgy toads, you’ll have to follow the same steps. First, you’ll want to head to The Hall of Champions on your map. You can get there after defeating only a couple of bosses. Once in The Hall of Champions, head up the first ladder and all the way to the right. there will be a couple of partitions you have to destroy, but there will eventually be what appears to be a dead end. When you get there, do a downward thrust in the corner of the room to reveal a secret passage. Once you’re in you’ll find a mysterious scroll. Finish your business in The Hall of Champions and get out to the main map. This is where things differ—if you’re playing on a PlayStation console, you’ll see Kratos appear on your map as a wandering foe, Xbox players will see a “mysterious location” open on the map. Either way, it’ll be obvious where you need to go next. Whichever console you choose, you’re in for a pretty spectacular boss fight, and each one yields its own rewards. After defeating the Battletoads, you’ll be granted a set of Toad Gear, which enables Shovel Knight to do a three-hit combo, as well as giving him a new dash ability. Defeating Kratos gives you a gravekeeper’s shovel, which can be forged into a new armor called The Chaos Armor, which gives Shovel Knight fire-related techniques. Though both are really cool additions to the game, I have to say Xbox fans got the better shake this time around. 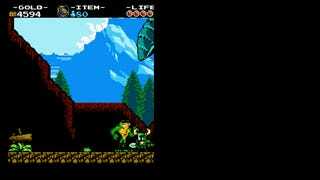 Battletoads fits better with Shovel Knight’s retro-inspired theme and the battle between Shovel Knight and the toads is a lot more thematically varied. It even includes a section based on BattleToads’ rage-inducing bike level. You also get to unlock some classic BattleToads tracks, which is a cool little bonus. Regardless of which platform you’re playing on, Shovel Knight is an excellent game that’s absolutely worth your time. Pick it up now, and enjoy some crossover action!